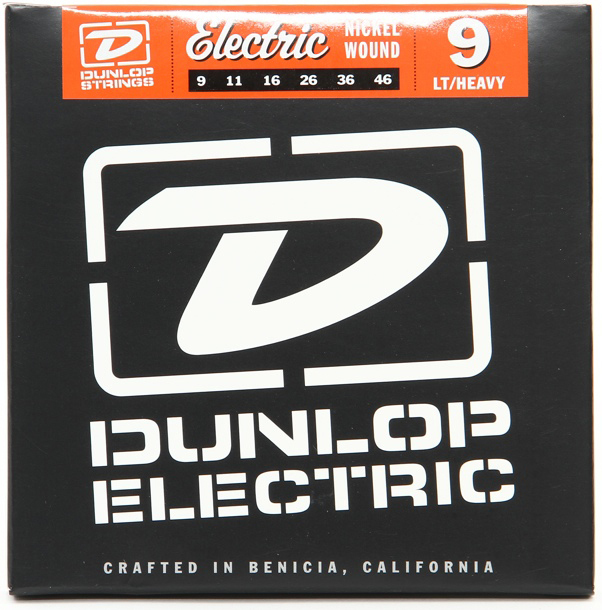 A unique combination of crisp highs, aggressive mids, and a focused low end gives Dunlop Electric Guitar Strings a voice all their own. The Dunlop recipe for string-to-string balance and responsiveness produces string sets that are perfect for dynamic lead work, while notes in a chord ring out clearly whether clean or heavily distorted. This powerful voice is delivered in a low tension string with a smooth tactile feel that breaks in fast and lasts a long time. Available in all popular gauges including light top heavy bottom 9's and 10's.